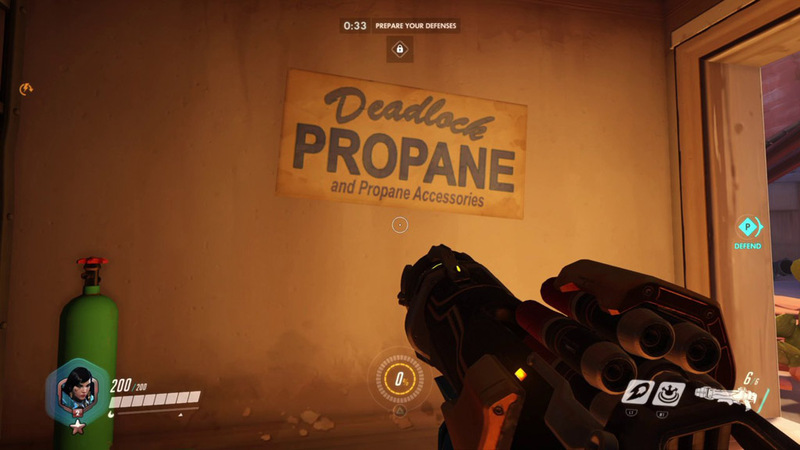 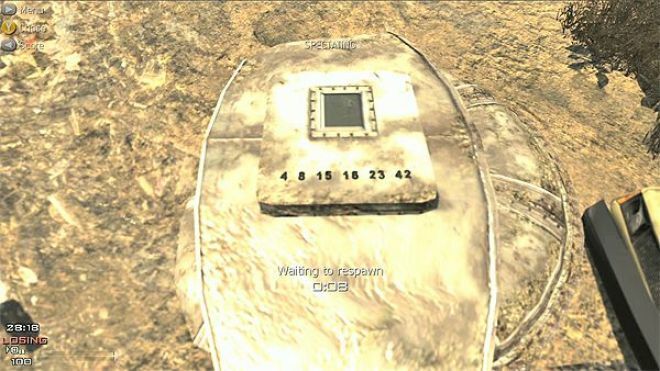 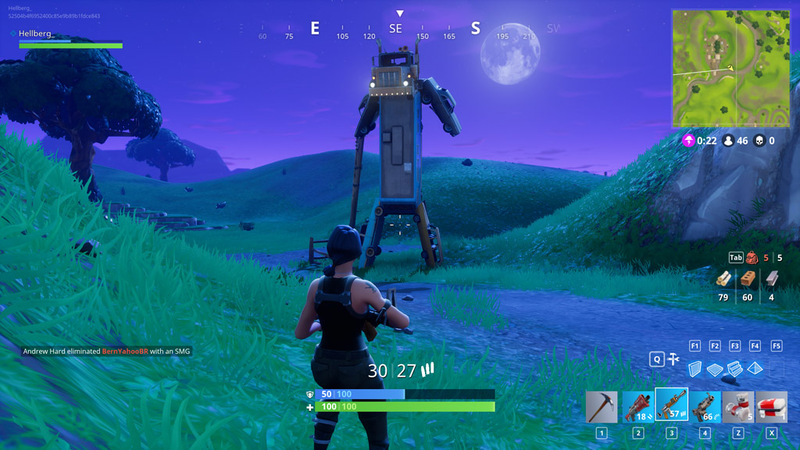 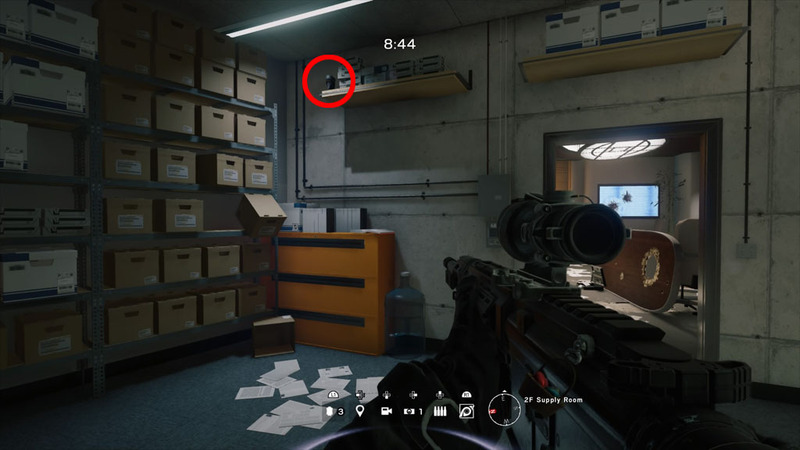 These easter eggs can be found on the map, Tower which released as part of Operation White Noise. 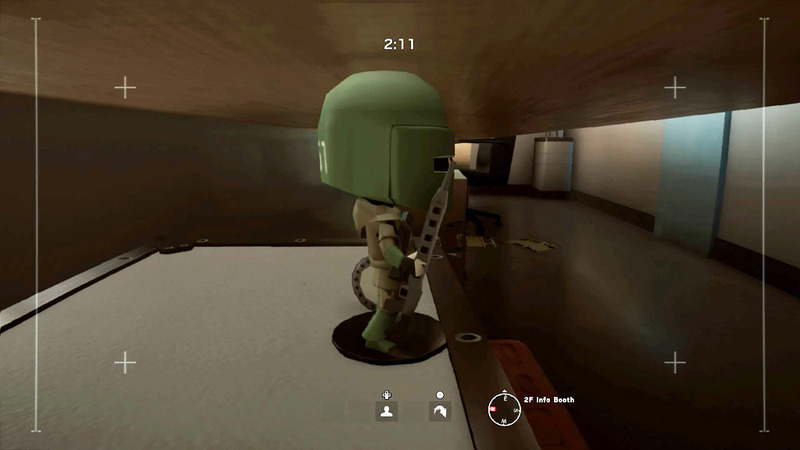 Hidden throughout the map in various hidden places, across both floors are five figurines of Rainbow Six operators. 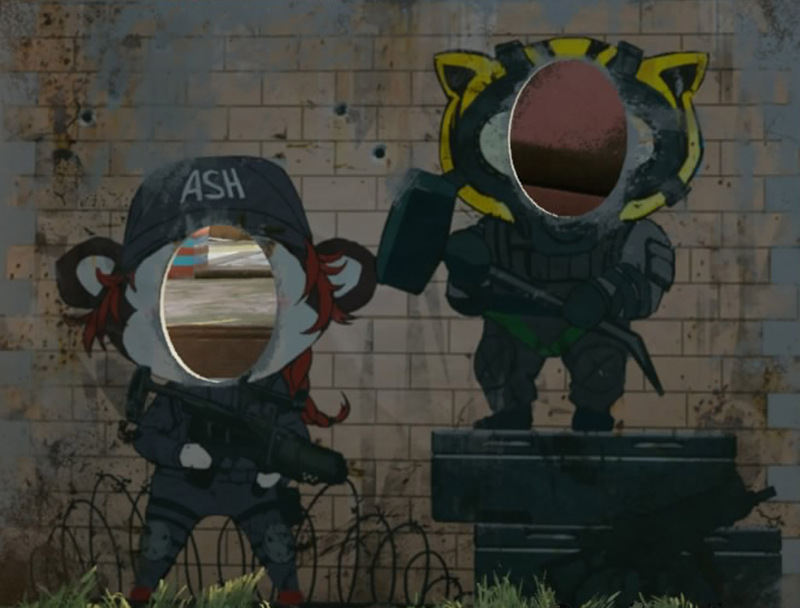 These operators include: Smoke, Tachanka, IQ, Ash and Montagne. 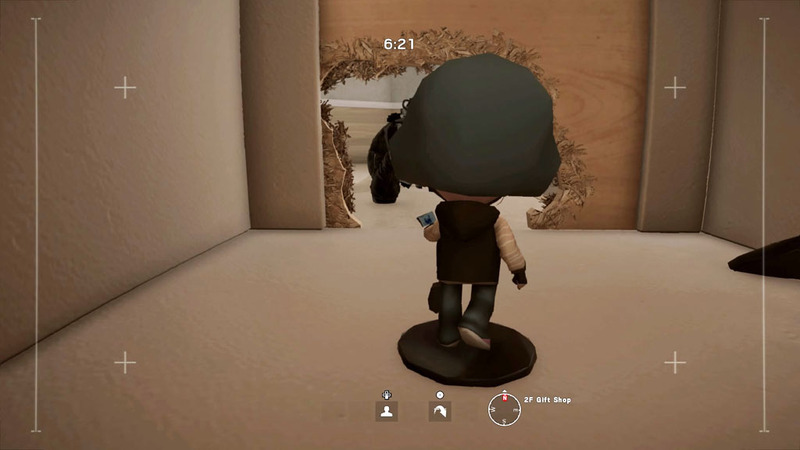 While it’s simple to view most of the figurines, Smoke requires use of an attackers drone in order to view his. 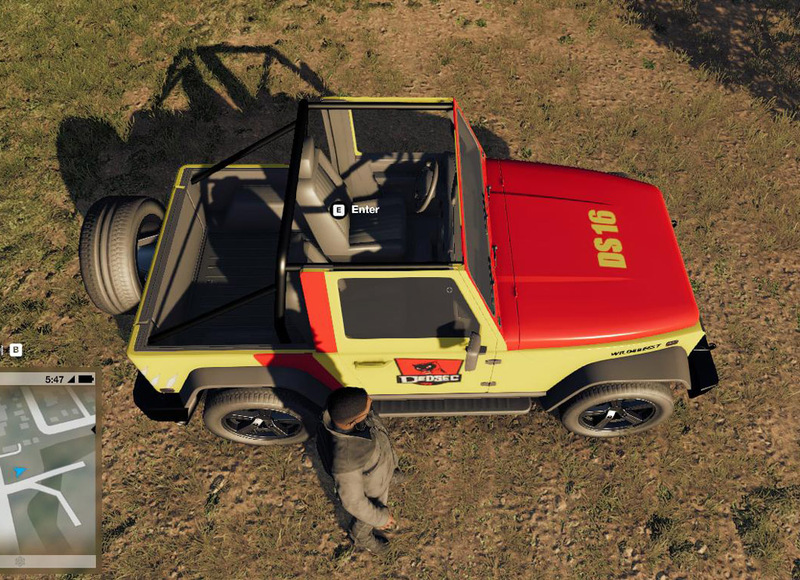 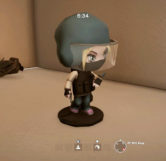 These figurines are actual replicas of figurines sold by Ubisoft on their website. 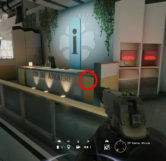 To find the Ash figurine go south on the second floor until you find the CEO’s Office. 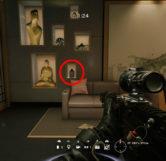 In this room on the north wall you’ll see a number of decorations in the wall, one of which includes a large, golden, sitting statue. 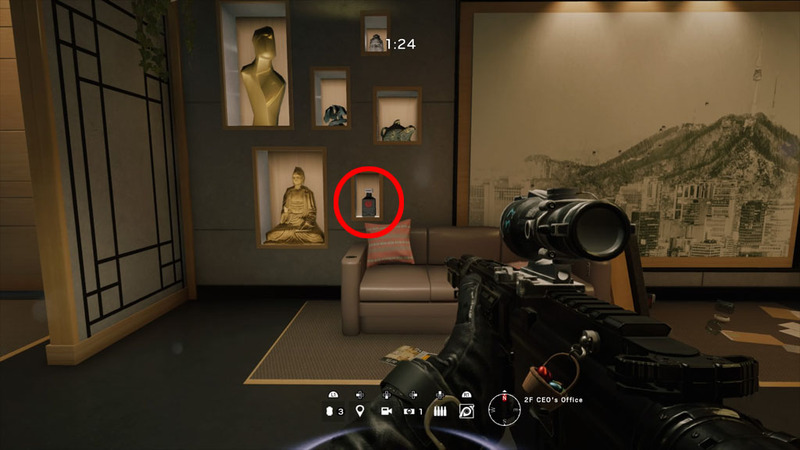 To the right of this statue is a black bottle. 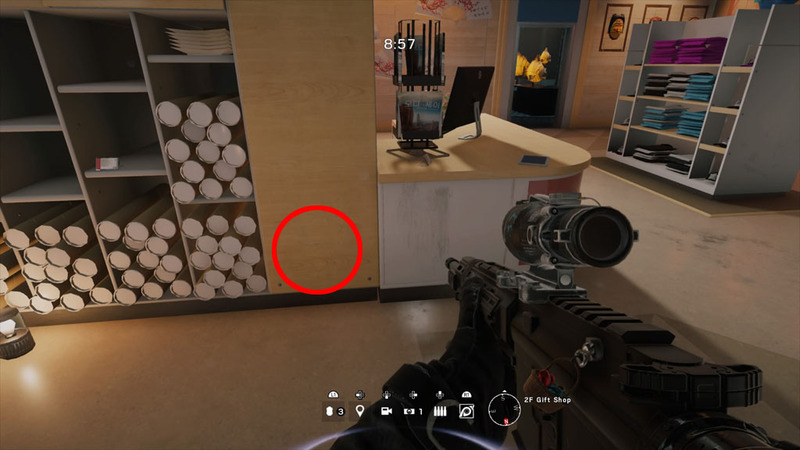 Break the bottle to find Ash hidden within it. 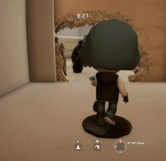 It doesn’t matter how the bottle is broken (grenade, bullets, melee, etc…) as none of the figurines can be damaged. 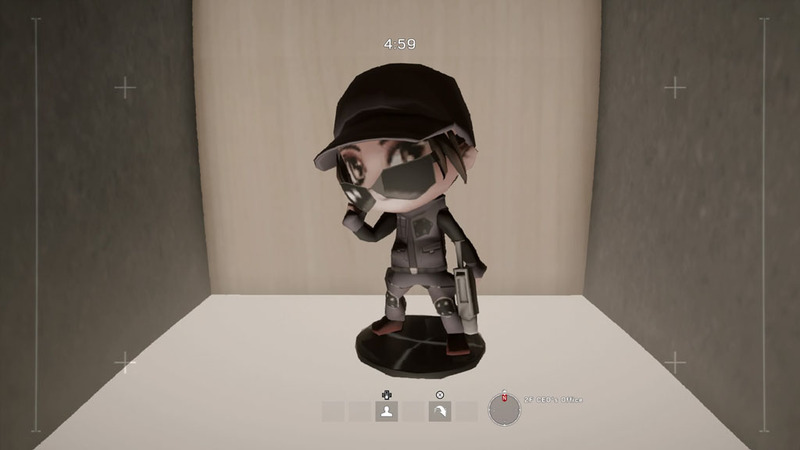 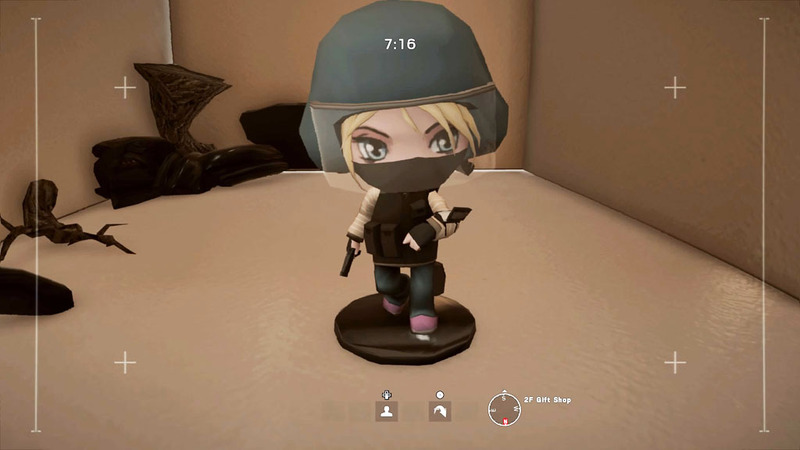 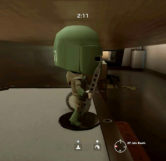 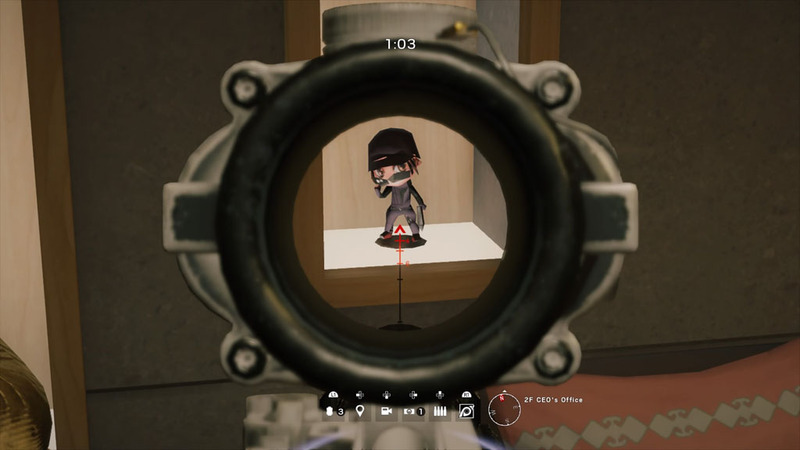 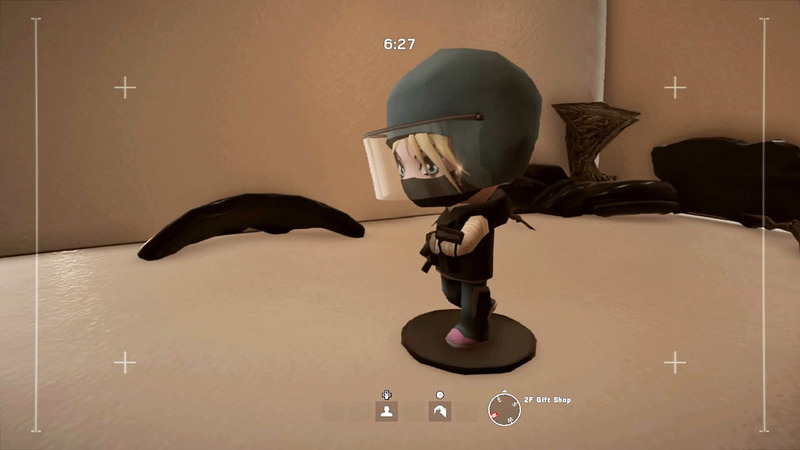 The IQ figurine can be found on the second floor in the Gift Shop. 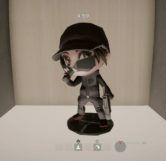 To find IQ’s figurine you must go to the northern side of the shop, then look south towards the shelves with rolled up poster holders. 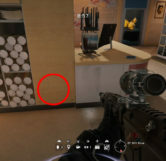 To the right of these shelves is a solid piece of wood. 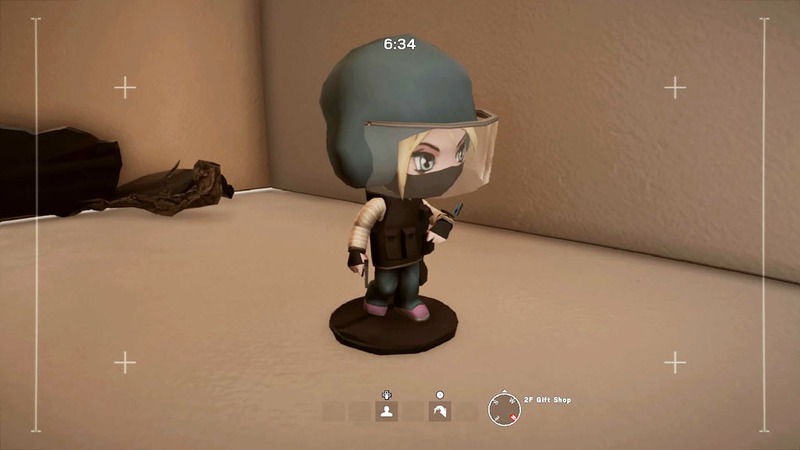 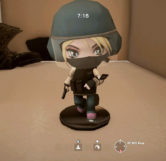 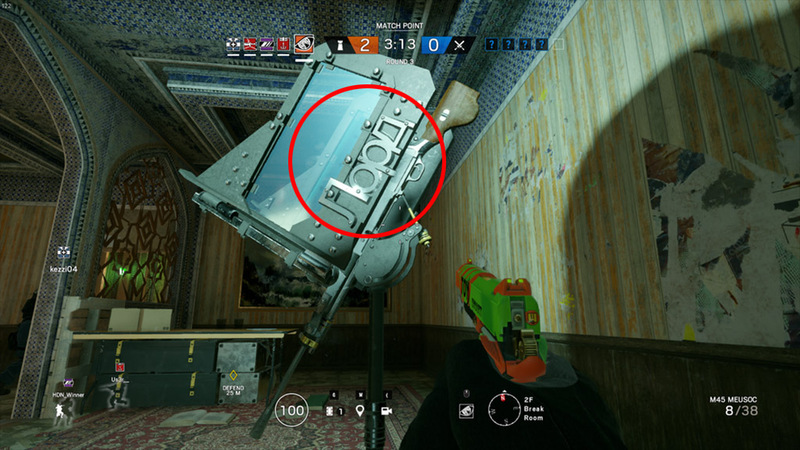 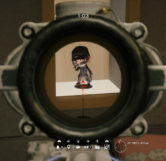 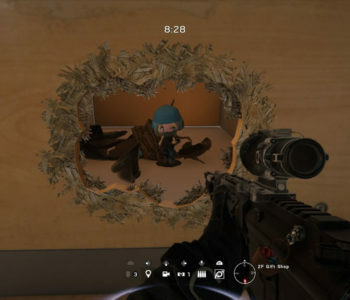 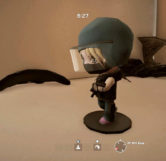 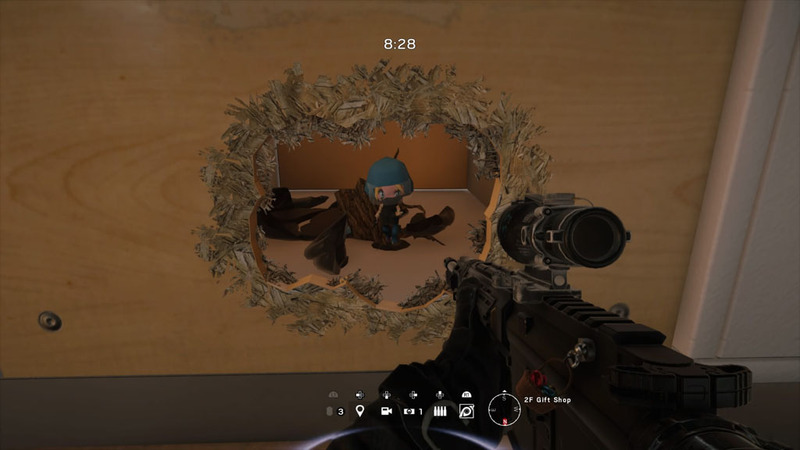 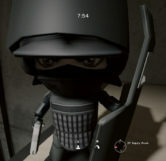 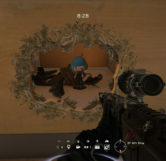 Break the wood at the bottom to see IQ’s figurine (pictures below). 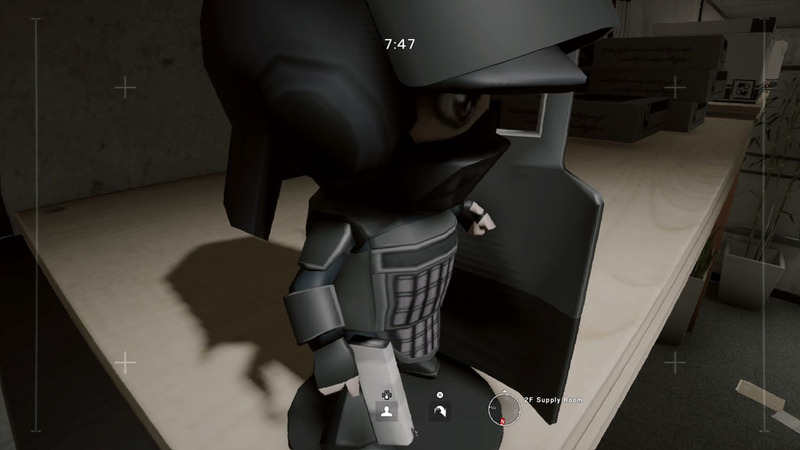 It doesn’t matter how the wood is broken (grenade, bullets, melee, etc…) as none of the figurines can be damaged. 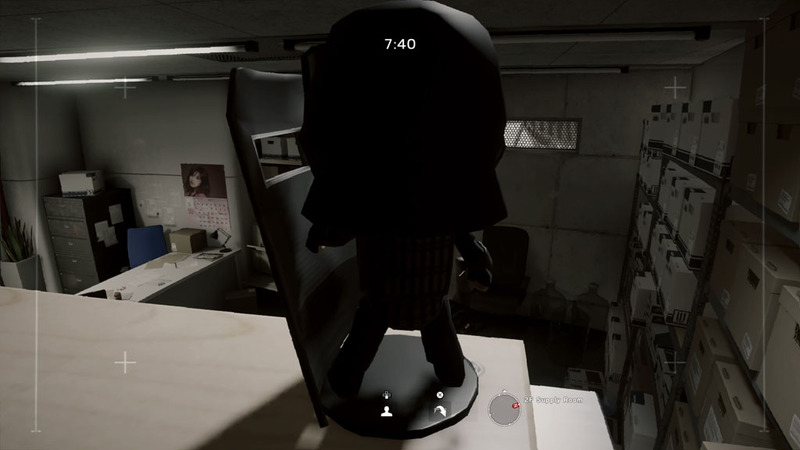 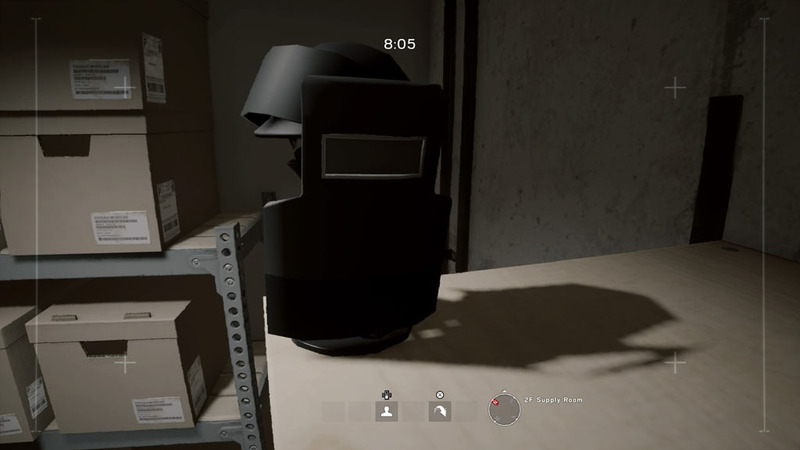 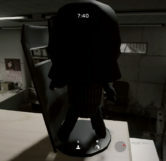 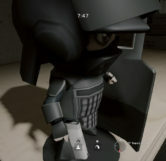 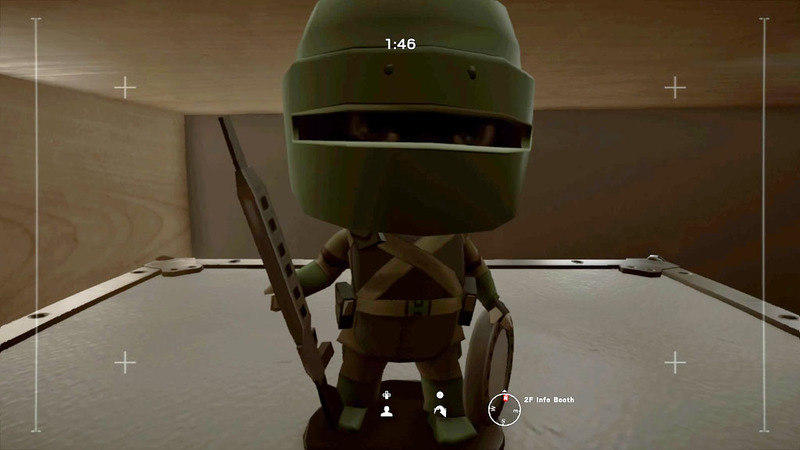 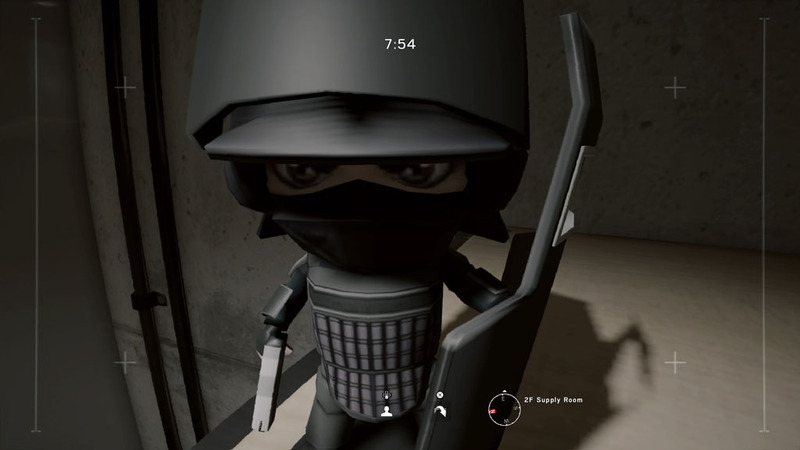 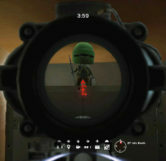 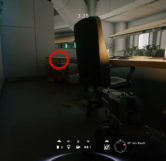 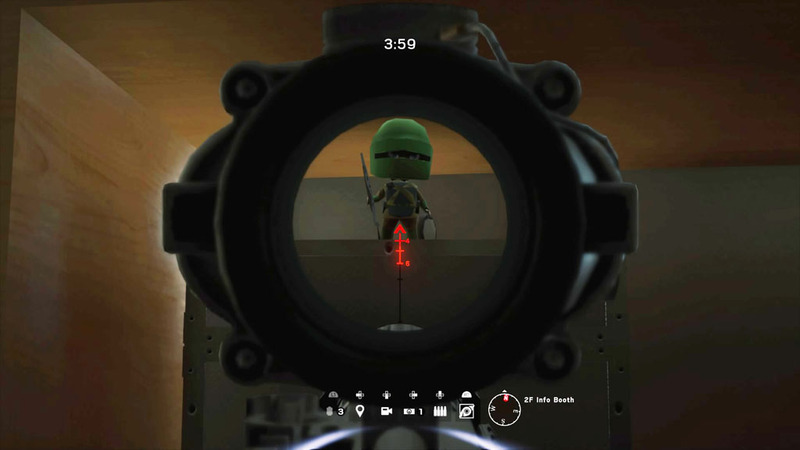 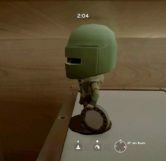 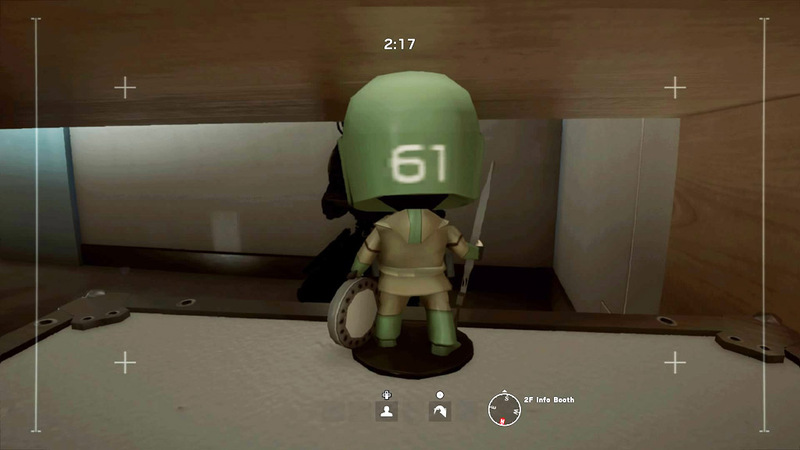 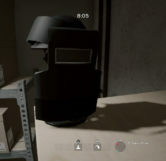 The Montagne figurine can be found in the Supply Room to the south-west of the second floor. 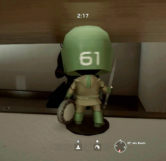 In this room on a shelf in the north-eastern corner is the figurine. 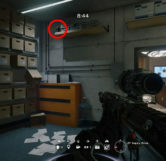 To see it up close you must destroy the stack of printer paper beside it to throw a drone on the shelf. 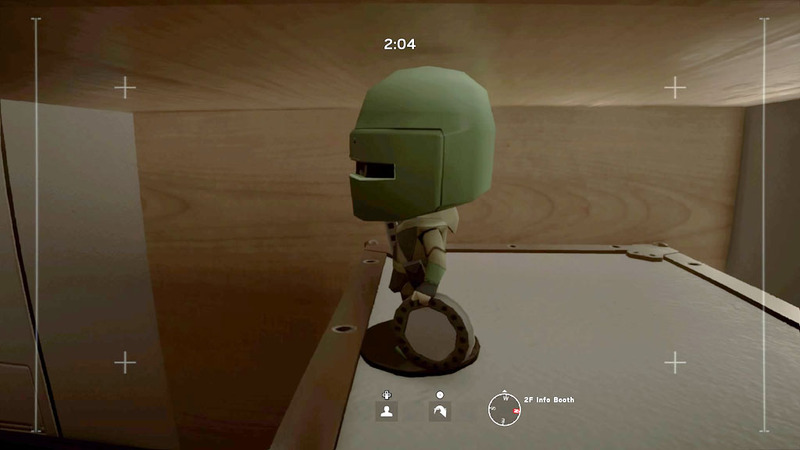 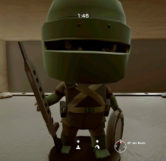 To find the Tachanka figurine, head to the northern stairs located in the second floor Info Booth area. 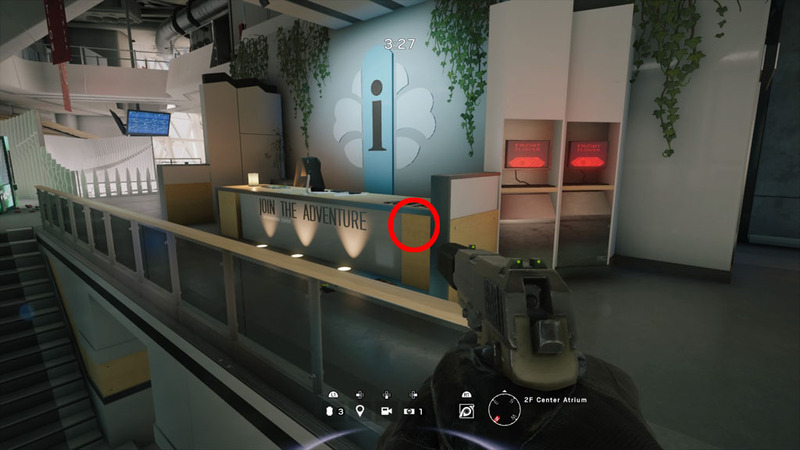 At the top of the stairs you’ll see a reception desk with a large “i” behind it with the words, “JOIN THE ADVENTURE” written on the desk itself. 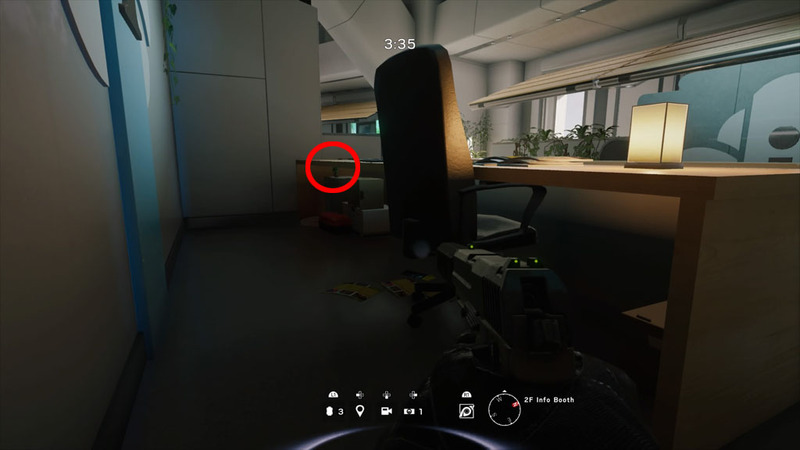 If you go behind this desk and go to the western most side of the desk you’ll see Tachanka sitting on top of a metal box under the desk.